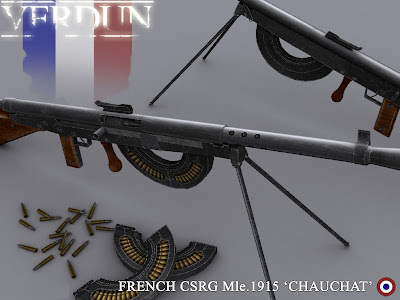 The Chauchat (pronounced /ʃoʊˈʃɑː/, named after its main contributor Colonel Louis Chauchat), was the standard light machine gun of the French Army during World War I (1914–18). Under the leadership of General Joseph Joffre, it was commissioned into the French Army in 1916. 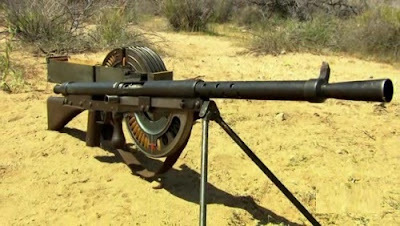 It was also widely used by the US Army in 1917-1918 and by seven other nations: Belgium, Greece, Poland, Romania, Russia, Serbia and Germany (who used captured examples) during and after World War I. Its formal designation in the French Army was Fusil mitrailleur Mle 1915 CSRG (Chauchat Sutter Ribeyrolles Gladiator). It was also more simply known as the FM Chauchat, CSRG and Gladiator. Over 262,000 Chauchat machine rifles were manufactured, (for the most part chambered for the 8 mm Lebel service cartridge) thus making it the most widely-manufactured automatic weapon of World War I. 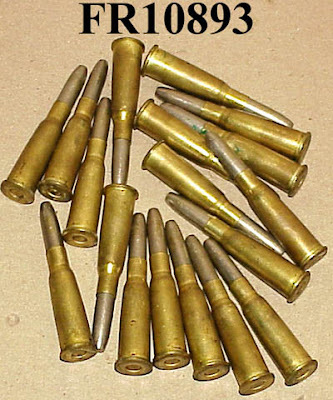 A variant chambered to the US .30-06 cartridge is known as the CSRG M1918 but it soon proved to be unsatisfactory. Consequently, the French 8 mm Lebel Chauchat was the model almost exclusively used during 1917 and 1918 by the A.E.F (American Expeditionary Forces) while on the Western Front in France. 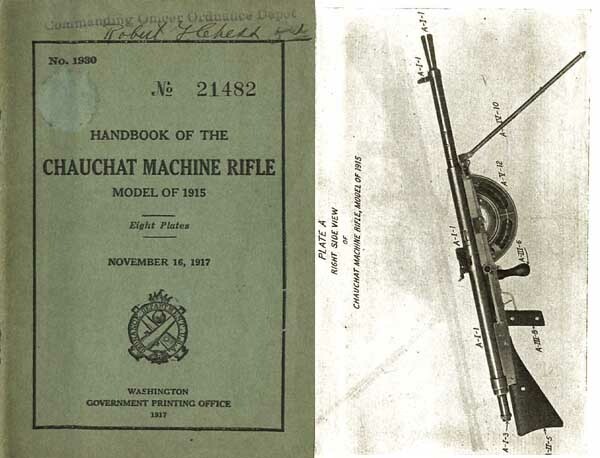 The Chauchat was one of the first light machine guns designed to be carried and fired by a single operator and an assistant, without a heavy tripod or a team of gunners. It set a precedent for several subsequent 20th century firearm projects, being a portable yet full power automatic weapon built inexpensively and in very large numbers. 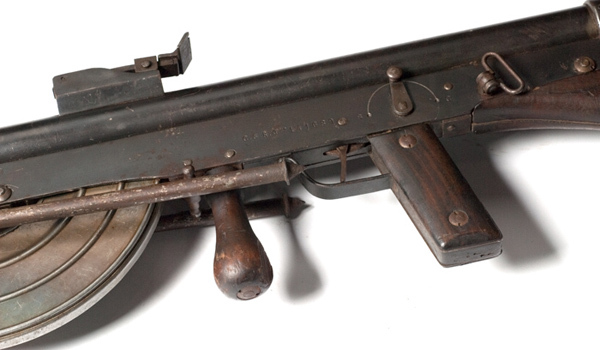 The Chauchat combined a pistol grip, an in-line stock, a large-capacity detachable magazine, and selective-fire capability in a compact package of manageable weight (20 pounds) for a single soldier. Furthermore, it could be fired from the hip and while walking. In the muddy trenches of northern France, several operational problems came to light. Construction had been simplified to facilitate mass production, often resulting in unsatisfactory quality. The magazines were the principal cause of interruptions in firing or stoppages . 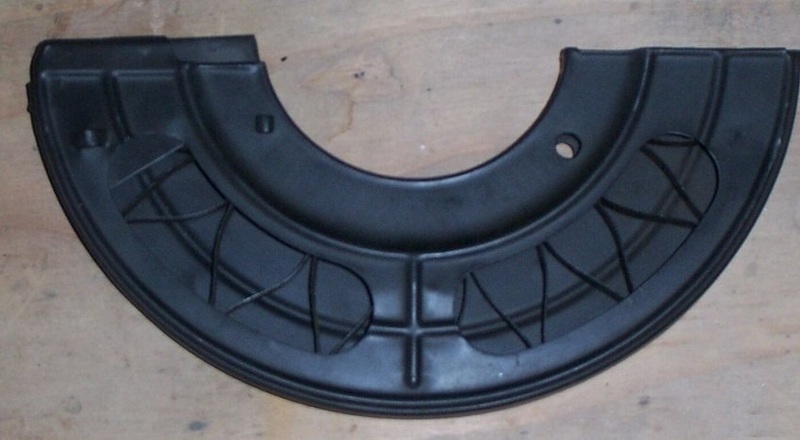 They were built of thin metal and open on one side which resulted in mud and dust ingress, thus creating 2/3 of the stoppages (which were frequent). The A.E.F. in France eventually replaced the Chauchat, at least partially, with the Browning Automatic Rifle which appeared on the front lines of northern France in September 1918, two months before the Armistice of November 11. 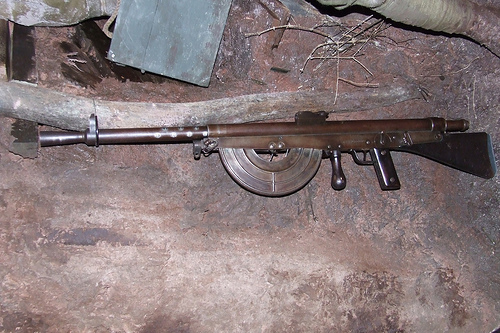 After World War I, the French army replaced the Chauchat as the standard light machine gun with the more effective and gas operated Mle 1924 light machine gun.